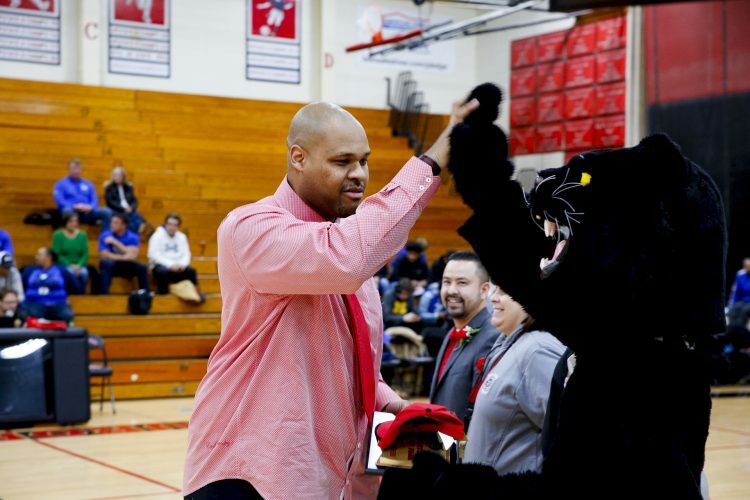 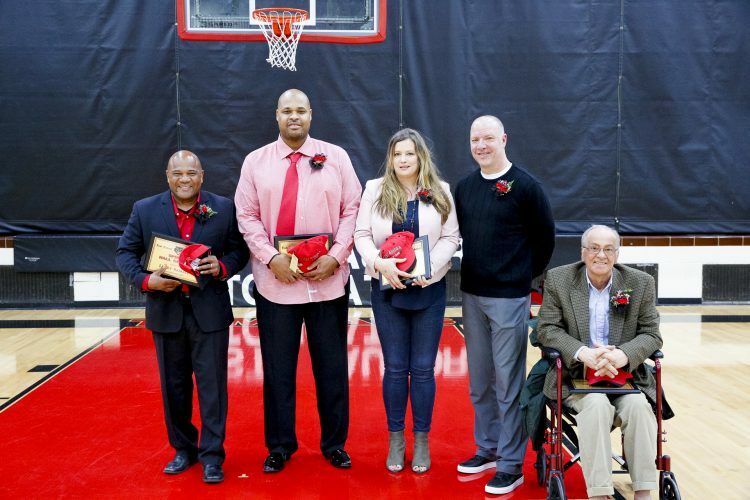 Five Tomcats were inducted into East Aurora Sports Hall of Fame February 8, in honor of their contributions to the Tomcat athletic tradition. 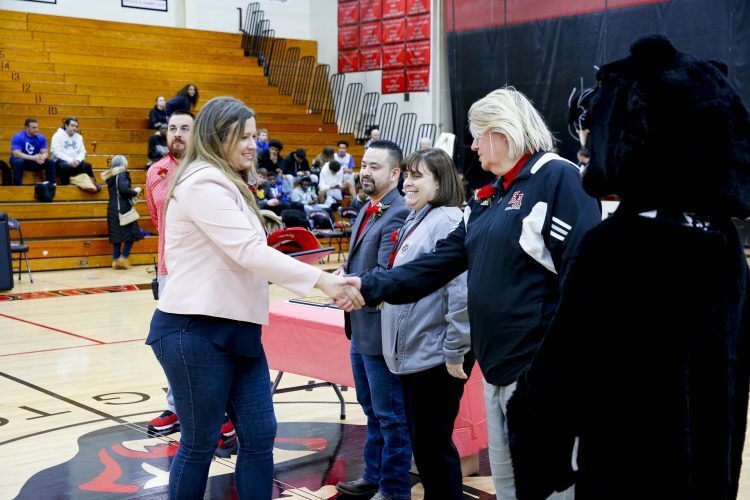 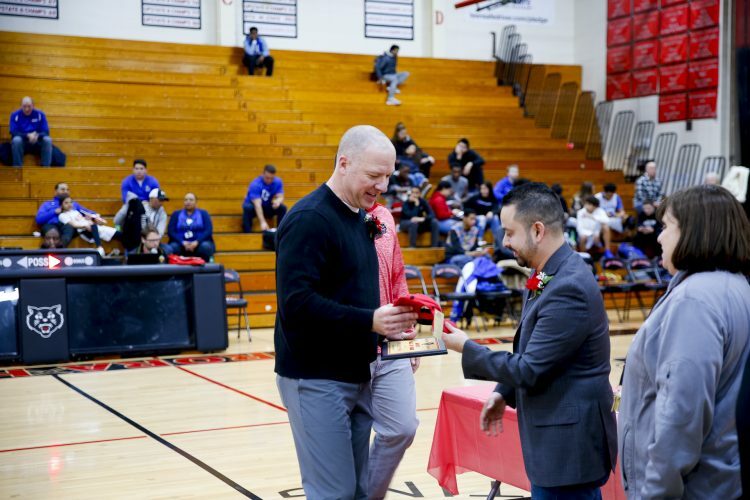 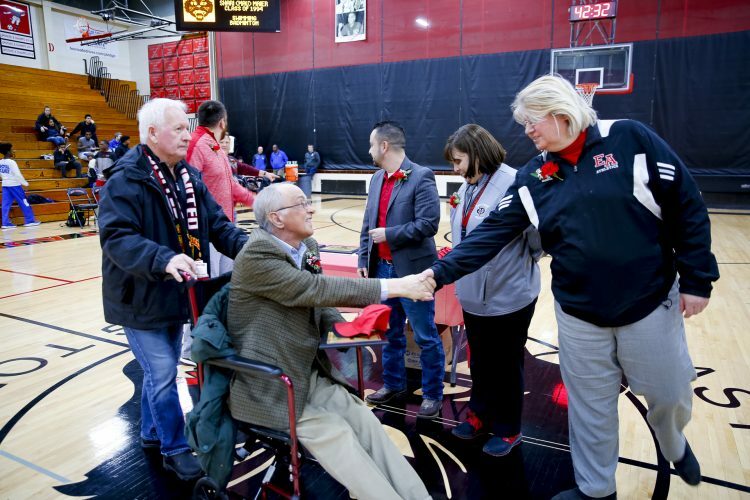 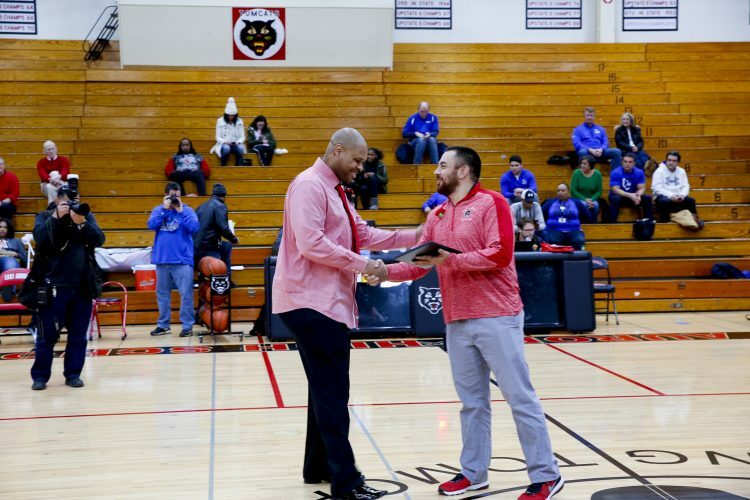 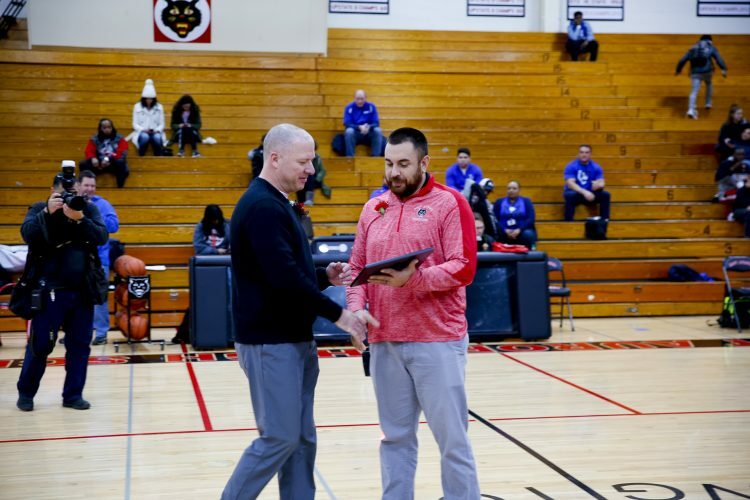 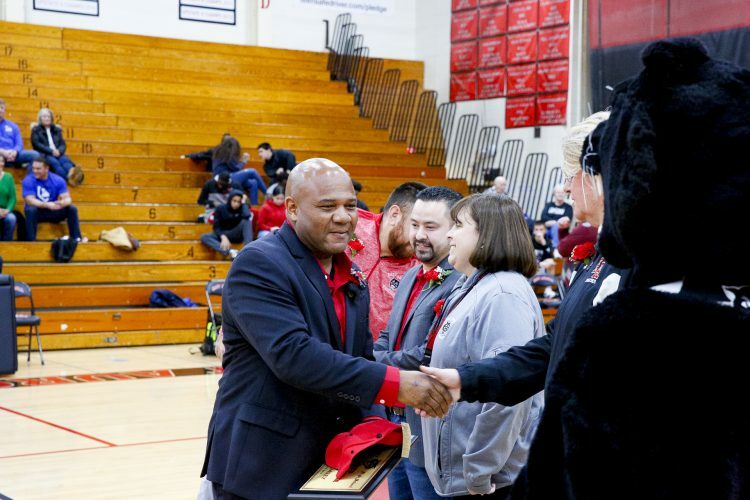 The former athletes attended a reception in their honor, followed by the Hall of Fame induction ceremony held in the Kivisto Gymnasium between the sophomore and varsity boys basketball games. 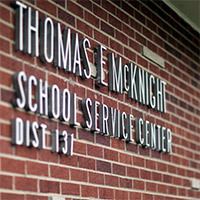 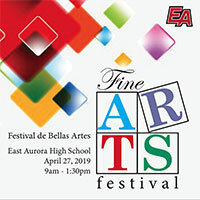 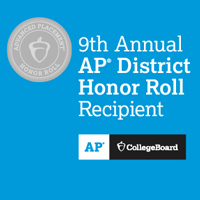 Congratulations to: Bob Christensen (class of 1986); Aaron McGhee (class of 1997); Shari Mau (class of 1994); Larry Ramsey (class of 1985); and Leo Schlee (class of 1971)! 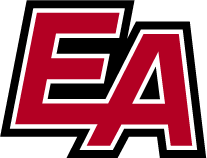 Read more about these former athletes here.